The Law Offices of Jacob J. Sapochnick bring you the most recent developments in immigration policy at the judiciary level. We express our concern at the hesitation the federal judicial system and our federal legislative system has shown in their reluctance to address the issue of comprehensive immigration reform. 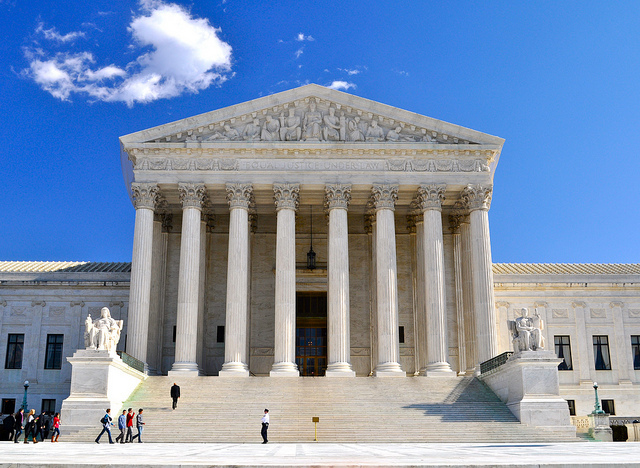 Recently, two appeals have come before the Supreme Court from the towns of Hazelton in Pennsylvania and Farmers Branch in Texas. These appeals are important because they signal a conflict that has arisen time and time again between state and federal judiciaries regarding immigration policy. Such conflict can only be rectified by calling upon the national government to take a firm stance in clearly delineating immigration law, ultimately setting a precedent for state judiciaries to follow. Fortunately, the federal government has begun to feel the pressure from the people in hearing such appeals. These appeals clearly bring the issue of comprehensive immigration reform to the forefront specifically in the cases of City of Hazelton v. Lozano (13-531) and City of Farmers Branch V. Villas at Parkside Partners (13-516). The Hazelton and Farmers Branch appeals were made by city legislatures seeking to dissuade illegal immigration. Appeals from both cities were subsequently rejected by the U.S. Supreme Court. The proposed ordinances made by these cities required tenants to provide their landlords with identification documentation, and also allowed such documentation to be verified with the immigration authorities, putting undocumented immigrants at risk of being deported. The city ordinances could also potentially punish landlords suspected of renting to undocumented immigrants. When these ordinances were first presented to the court of appeals, they were challenged and won by immigration advocates which included tenants, landlords, employers, and workers. It was due to such a victory that both towns sought to overturn the decision by appealing to the U.S. Supreme Court. The Supreme Court rejected the ordinances responding that immigration policy is strictly within the jurisdiction of the federal government, not state governments. As such, states cannot propose immigration policy and enact their own laws concerning immigration policy. As reported by Reuters, supporters of immigration reform argue that out of 6 federal courts of appeal dealing with similar housing-related ordinances, 5 ruled that the city ordinances conflict with federal immigration law. The only case in which a proposed city ordinance did not conflict with federal immigration law, was decided by the 8th U.S. Circuit Court of Appeals in St. Louis, Missouri. In this instance, the court ruled in favor of a city ordinance voted on by citizens of Fremont, Nebraska. Unlike the Farmers Branch and Hazelton city ordinances, the Fremont city ordinance came before the Supreme Court after voters had approved a 2010 measure that prohibited hiring or renting to people in the United States who could not prove their legal status. The court ruled in favor of the city ordinance based on the fact that the plaintiffs in the Fremont case failed to show that the Fremont law intended to discriminate Latinos specifically and that the measure was indeed against federal law. Additionally, the plaintiffs did not have standing to sue in the case since they had failed to show that they were in fact harmed or could be harmed by the Fremont measure.